Lying within easy reach of the Serengeti and Ngorongoro Crater, the Tarangire National Park is often overlooked in favour of these more famous destinations but this is nevertheless one of the country’s most rewarding and diverse wildlife reserves. A Tarangire safari takes you into a more wooded landscape than the open grasslands of the Serengeti and Ngorongoro Crater. It is home to some of Tanzania’s largest elephant herds as well as all the big cats – lion, leopard and cheetah – plus a few animals that you won’t see in the Serengeti such as the extraordinary-looking gerenuk. There are healthy numbers of Africa’s heavyweight animals – buffalo, giraffe and hippo – plus many species of antelope. 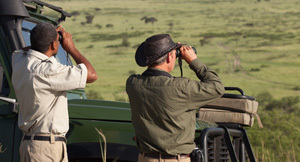 Tarangire is also where to go for some of the most dramatic game viewing in Tanzania. 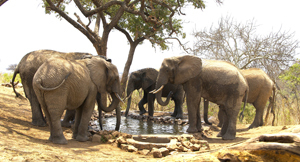 The dry season sees ever-increasing numbers of animals concentrating at water sources, most notably at the Tarangire River, running through the centre of the park. Such numbers of animals naturally attract predators and a Tarangire safari in the dry season offers good opportunities to see predator/prey interaction. 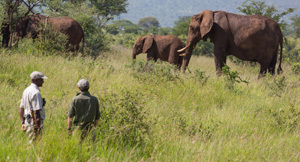 But a Tarangire safari is not just about dramatic, heavyweight game viewing. There are other facets to this park: it is the best place in northern Tanzania to see the enormous baobab tree; the park’s lions are renowned for their slightly endearing habit of climbing trees; and with a bird count of an incredible 550 species, Tarangire is a bird-watching destination par excellence. Accommodation is located discreetly throughout the park or in adjoining private concessions. There is a good selection of lodges available, ranging from tree-house suites and top-end tented lodges to simple tented camps with walk-in tents and hot-water bucket showers. 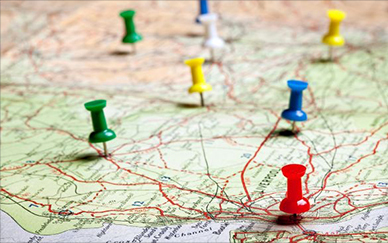 Most accommodation offers a wide range of safari activities. Game drives are the main focus but there are also hot-air balloon safaris, guided walks, spot-lit night drives and community tours as well. Easy to combine with the Serengeti and Ngorongoro Crater, the Tarangire National Park can also be experienced with destinations on Tanzania’s ‘southern safari circuit’ such as the Selous Game Reserve and Ruaha National Park. 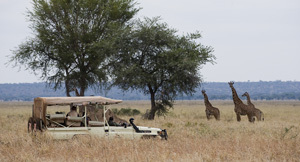 Browse our suggested Itinerary Ideas or simply talk to Safari Online about a Tarangire safari: we have a range of tried-and-tested tour combinations we can recommend and book for you. With some of the best wildlife viewing in Tanzania, the Tarangire is a place where game drives take centre stage. Morning & afternoon game drives are led by sharp-eyed guides in search of big game; a spot-lit night drive is also offered at some camps. 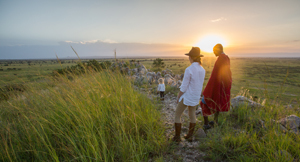 Giving you the chance to view the finer details of the natural landscape, Tarangire lodges also offer guided walks ranging from a few hours around camp to multi-day fly-camping adventures where you leave the lodge & camp out in the wilderness. With a third of Tanzania’s birds & reputedly an area with the world’s greatest number of breeding bird species, Tarangire National Park is justifiably one of the best birding destinations anywhere & at any time of year. The bird count is an almost unbelievable 550 species. 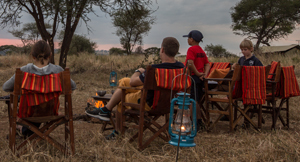 Ask us about family-friendly safaris in Tarangire: with great dry-season game viewing, it’s a good destination for families with older children & some of our lodges have children’s activity centres & larger accommodation units. Some lodges have access to local communities outside the park, many of which supply the staff & guides for the camps. A sensitively guided tour to a local village is a highlight for many guests & there is often a chance to visit community projects.